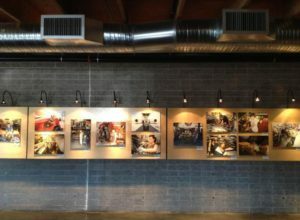 180-Degrees Automotive – Artworks PHX – a business-arts campaign in Phoenix, Arizona USA. Auto repair shop disrupts industry … by design. 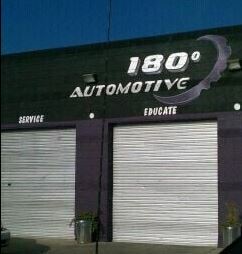 Taking cars to the auto repair shop doesn’t exactly top the list of fun things to do, but 180-Degrees Automotive injects a little creativity to make the visit a little more interesting. 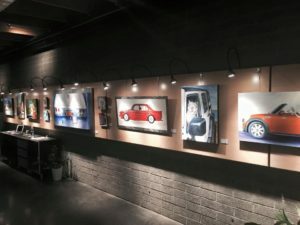 While customers are waiting for cars to be repaired, they can explore, enjoy and purchase art that’s displayed in the shop’s very own exhibition space – the Gallery at 180. 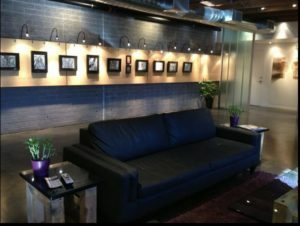 The Gallery at 180 introduces works from local artists every three months, and debuts each new show with an artist reception on First Fridays. 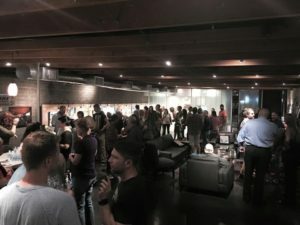 The Gallery 180 initiative gives artists a new venue to display works ranging from crazy animal paintings and photography, to mixed media and sculpture. And it certainly makes the interior of the auto repair shop far more interesting for customers who are waiting for their cars to be serviced. The unanticipated benefit of this initiative is how it’s helped attract a steady stream of new customers who love art, and appreciate businesses that support local artists.